We offer a wide range of services in order to offer you the best solution under all circumstances. Staying at the client's disposal for the entirety day, between the different stops. This avoids any waiting by the customer and also allows him/her to unload their belongings by leaving them in the vehicle. These provisions are used during visits, meetings and corporate meetings. As part of our passenger and group transportation activities, we organize transfers of business tourism events in Brussels and Belgium. These event organizers' (MICE) congresses, conferences, fairs, shows and other events allow our limousine service VIP with chauffeur to coordinate the transfers of whole groups or even hundreds of people. 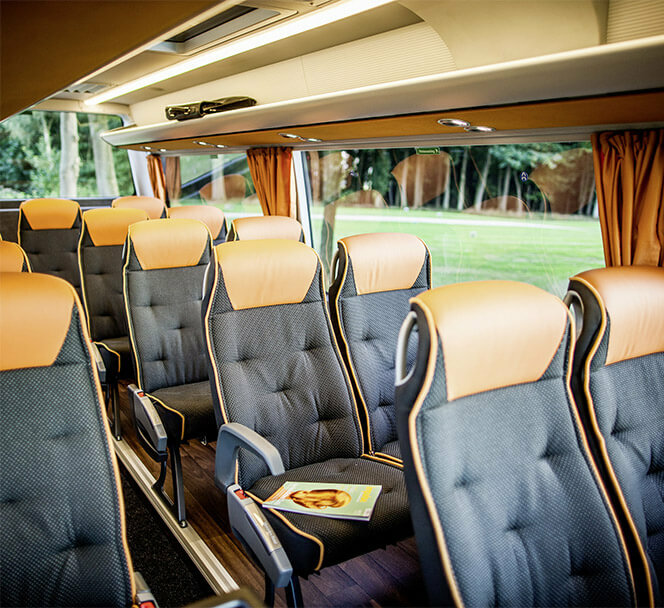 Bus, coach and minibus hire with drivers in Brussels is constantly asked to organize the transport of clients from their business hotel in Brussels to these events organizations' (MICE) congresses, conferences, fairs, shows and other events: shuttle service with minibuses and cars. We welcome you and take you to all airports and train stations in Belgium and the Benelux: Brussels airport, Charleroi airport, Gare du Midi in Brussels (Thalys and Eurostar). Our drivers will be waiting for you at the meeting point: Java coffee (Brussels Airport) or Sam's Café (Gare du Midi) with an electronic sign. They will accompany you to the car and take care of your luggage. Upstream, the coordinates of the driver are communicated to the customer at the latest the day before the mission. A full VIP service is available upon request. Depending on your program: addresses, time to wait, number of vehicles. Tailored is simple: Your schedule, your itinerary, the number of cars you want and we take care of a personalized quote which meets your needs. Whether you need 10 buses for an event, 3 vans for a wedding or 5 cars used as shuttles for 100 guests arriving at the airport on separate flights, no problem, we take care of everything and send you an estimate by email within the hour! Belgium Limousine Service is a limousine company in Brussels, specialized in limousine rental with driver. We have been in the transport sector since 1986, in Belgium and the Benelux, making Belgium Limousine Services, a member of the Belgium Limousine Association, one of the pioneers of limousine service in Brussels with driver.